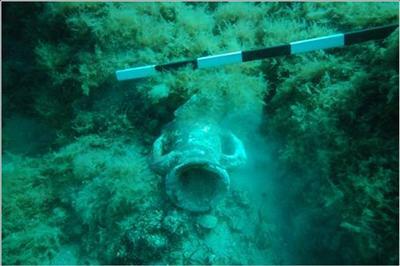 Maritime archaeology and heritage conservation in Southern Montenegro. A joint initiative between the Museum of Bar, Montenegro, and the University of Southampton's Centre for Maritime Archaeology. This project developed in response to recent discoveries in Maljevik Bay, near Sutomore in the Municipality of Bar, southern Montenegro. The remains found at Maljevik – columns and dressed stone blocks from a monumental ancient building lying in 3m of seawater 200m from the shore – attracted the attention of national and international press. The reason for their presence in this unexpected location remains a mystery. There are various possibilities: Were they the cargo from an ancient shipwreck? Traces of an ancient coastal settlement subsequently flooded? Blocks of stone quarried locally and lost at sea on their way to an unknown destination? The search for an answer requires detailed and careful archaeological survey, documentation and analysis. The Montenegrin Maritime Archaeological Project addresses the many questions this discovery raises, but a maritime archaeological project in this area also represents exciting opportunities and possibilities, not only for the archaeologists who will work on this project, but also for the local administration of Bar and for Montenegro as a whole. Perhaps the most urgent issue is the question of the documentation and conservation of the maritime heritage of this part of Montenegro’s coastline, an area that is facing accelerated development and higher numbers of tourist visitors than ever before. For this reason this project design includes other elements – most importantly the documentation of the well-known ceramic remains site in Bigovica Bay – that begin to address these wider issues. The Adriatic coast of Montenegro lies on one of the great shipping highways of the ancient and medieval Mediterranean. Its wealth in submerged historic remains is both unquestionable and largely undocumented. Through the establishment of an international research project, bringing together expertise from the University of Southampton with that of local archaeologists and heritage professionals, the aim is to document this previously unknown resource, to bring it to the attention of a wider national and international public, and to encourage the better management and protection of these fragile and internationally significant sites. Montenegro, lying at the heart of ancient Illyria - a crossroads of ancient and classical Mediterranean civilisation - remains remarkably unexplored in archaeological terms. Much of our fundamental understanding of the archaeology of the region was generated by the seminal work of Sir Arthur Evans in the 1870s. Evans studied the antiquities and the ancient geography of the region from Split in the north, south to the Albanian border and inland as far as south-western Serbia. His erudite baseline study of the ancient societies, communications, industry and culture of the region remains fundamental to modern understanding of the archaeology and ancient history of the region. In recent years there has been renewed international interest in the archaeology of Montenegro, including within the Municipality of Bar. In 2004 an international archaeological research project began in the deserted historic town of Stari Bar (the medieval successor to the ancient port). This was a joint research project which brought together the Universities of Ca’ Foscari (Venice) and Primorska (Koper in Slovenia) to work with the Museum of Bar. Since that time they have carried out annual excavations within the medieval town walls, and have published a series of exemplary reports. 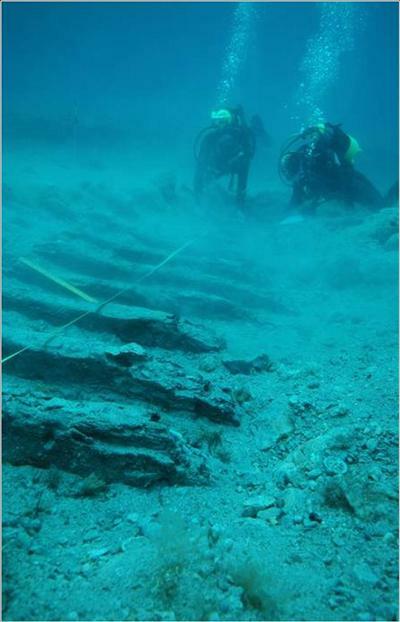 In terms of maritime archaeological work, the most significant maritime archaeological project to take place has been the recent initiative by RPM Nautical: the Illyrian Coastal Exploration Programme. The first season of work in and around the Gulf of Kotor over the summer of 2009, deployed multi-beam radar and detected two Roman wrecks and three more recent wrecks. This is the only other maritime archaeological project currently taking place in Montenegro, which has little capacity for documenting or protecting underwater heritage. A fundamental recording tool of the project is digital mapping using GIS software, which includes all levels of archaeological recording, from the individual site level to a broader landscape context. One of the first activities of the project is to construct a basic database of known maritime and coastal sites in the region. Similarly, one of the first tasks of the project has been to consult the archives of Bar Museum, specifically to examine and record all material recovered from maritime contexts within the Bar municipality. This will help, in particular, to establish a basic ceramic seriation. This aspect of the work is a critical element of the project. It involves gaining an understanding of: i) the seismic history of the region over the past three millennia (crucial for understanding whether there might have been significant subsidence leading to the submergence of ancient coastal settlement); and ii) processes of later Holocene alluviation (necessary in order to be able to model both ancient and historic settlement patterns and the likely location and depth of buried archaeological remains). A key objective of the project is to carry out detailed underwater surveys of Maljevik and Bigovica Bays. This involves diver survey deploying digital and photographic survey techniques and manual recording methods in order to generate a detailed record of the monumental masonry found in Maljevik Bay and of any other such remains identified, as well as recording the distribution of all other archaeological material in the bay combined with the selective collection of diagnostic material. A similar survey will be carried out in Bigovica Bay. Survey will be carried out in the terrestrial hinterland of Maljevik Bay in order to gain a clearer understanding of its archaeological context. This will involve fieldwalking and recording using GPS, pro forma sheets and digital photography. In addition, any accessible ancient sites and archaeological excavations in the area will be investigated in order to establish the presence or otherwise of ancient horizons. The first season (see 'Useful downloads' at top right of page) was completed in summer of 2010 and preliminary details are now available.